Whenever Adrianna puts out a tester call, I know I’m in for a good time and an awesome pattern! I love testing because it’s always a great learning experience, specially now that I’m drafting my own patterns. You learn about the process of the test itself and also about the construction of the pattern. You can see how much work and dedication goes in to it. 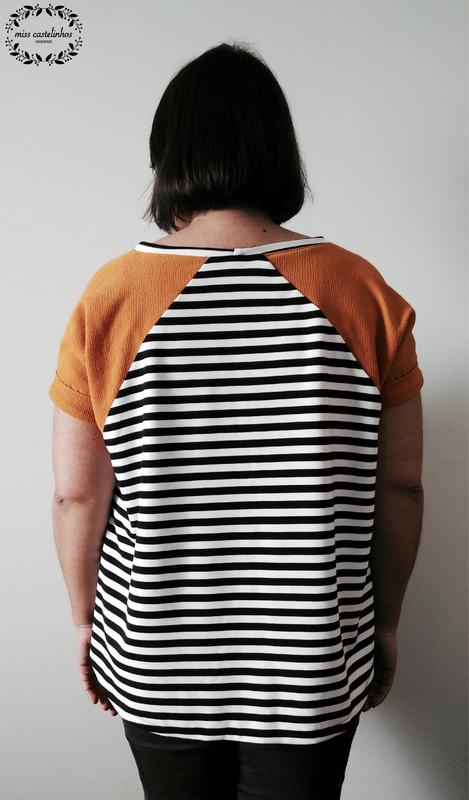 After testing the Charleston Dress, I jumped at the chance to test the Santa Fe Top. And I’m glad I did! 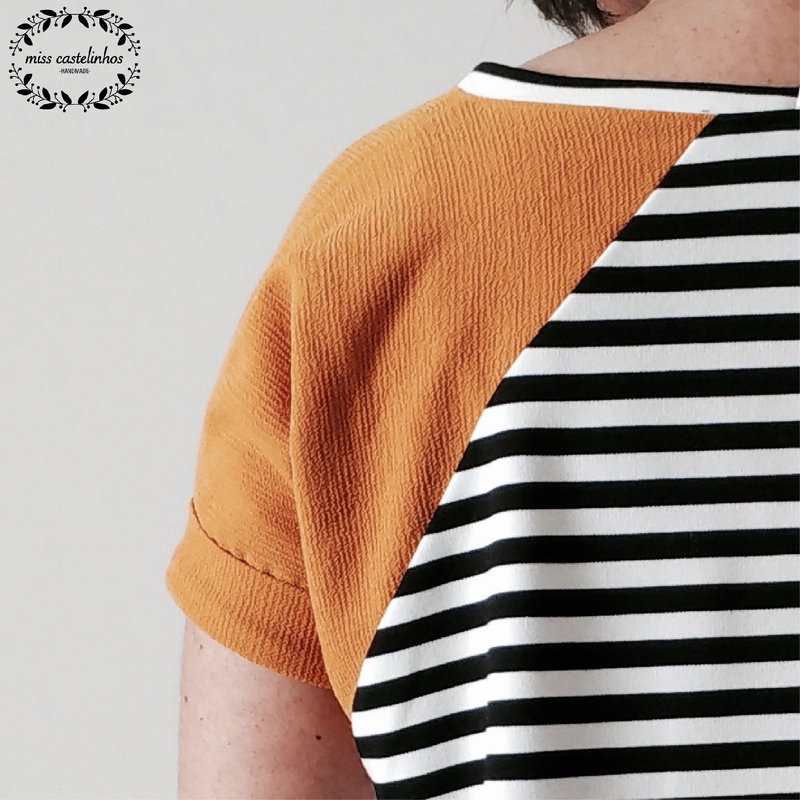 As usual with any Hey June pattern, it’s the perfect addition to your wardrobe! It has loads of options and you can play with colour or print. No matter how many you make the out come is always different. If you don’t believe me check out the other testers. 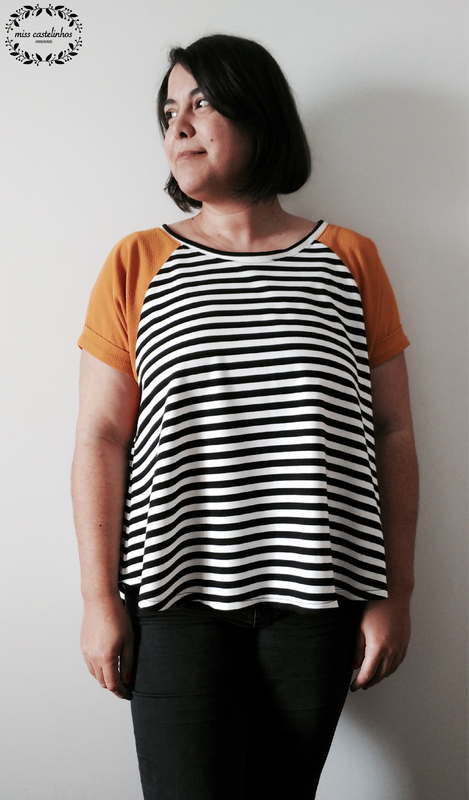 I made view F in a soft ponte that I use before here, from The Sweet Mercerie and the for the side panels, I used some leftover mustard crepe. Although the pattern is suitable for knits, the crepe worked quite well as an accent piece. The Santa Fe Top will be on sale through May 16th, 11:59pm MST. No coupons needed.